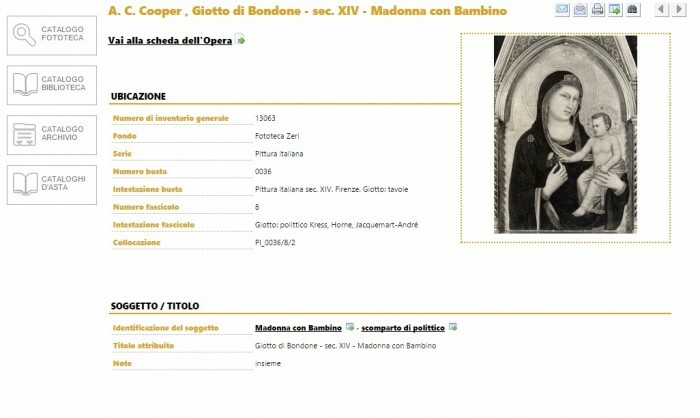 The Fondazione Federico Zeri is an ambitious project that made available online the photo archive of the art scholar, a tool for art history that continues the work of Federico Zeri. 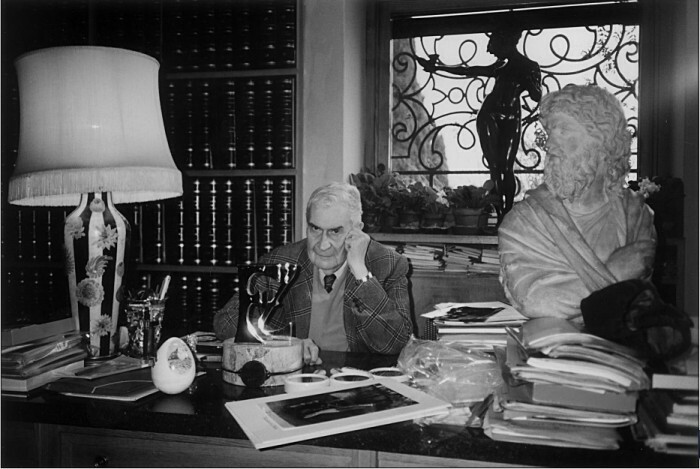 The Federico Zeri Foundation was born as a history of art institute in 1999, when Federico Zeri bequeathed his library, his archive and his collection of photographs, to the University of Bologna. 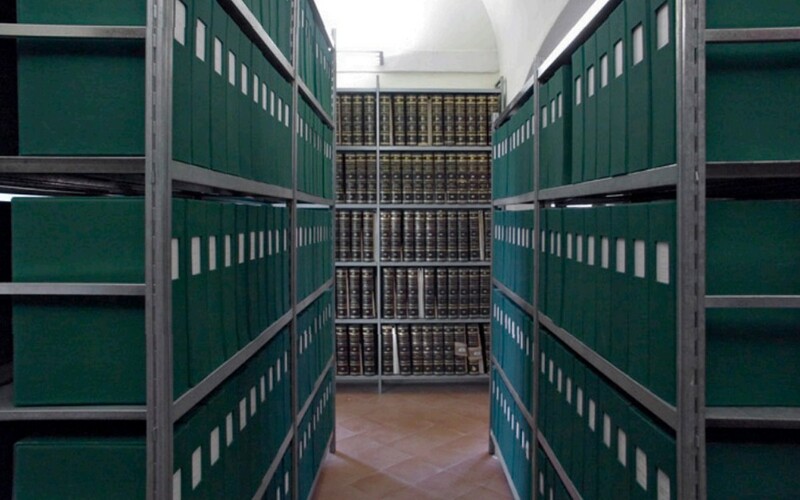 Today the library is one of the most important in the Italian contest and the Photo Archive, which includes a collection of about 290000 photographs of artworks and monuments, is one of the richest art archive in Italy and Europe. To promote research activity and make available to the public this huge iconographic collection, the Foundation has engaged in an ambitious project to catalogue and digitize the entire collection and develop a web-based research portal. To understand the great work that has been done is useful to recall the way in which the art historian had built his photographic archive in his villa in Mentana: the photographs came from photographic archives of the public administration (Soprintendenze, Fototeca Nazionale), from Italian and foreign museums, private archives and collections or also auction houses. Federico Zeri himself wrote on the back of many photographs some information about the source of the photo and notes on the artwork photographed. The entire photo archive is constituted by macro-disciplinary and geographical areas that are subdivided into geographical/chronological: Italian painting, Italian sculpture, archaeology, architecture, drawing, applied arts, miniature, Italian and European still life. The complex organization and stratification has been transferred to the web portal of the Federico Zeri Foundation that offers the possibility to view online the catalog of the Photo Library organized in records of photographs and artworks in the mutual relationship between them. A low-resolution scanned picture accompanies every record and to represent the information of each photograph is used a short version of the ICCD F standard that contains all the data necessary to contextualize it. This immense deposit of iconographic culture is today an invaluable tool for art historians and it can be said that the Foundation continues the role of a great connoisseur of art that Federico Zeri had throughout his life.